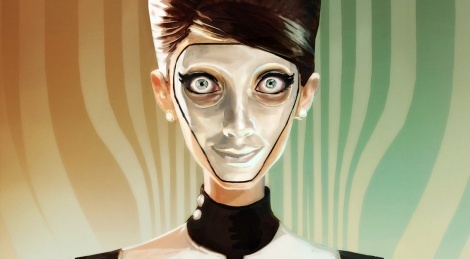 Contrast developer Compulsion Games just announced a brand new project called We Happy Few. We don't know much about it yet, not even the platforms on which it will ship let alone its release date, but we're intrigued anyway to say the least. The town where the story seems to take place is quite reminiscent of Contrast's, but the atmosphere seems closer to the BioShock series. If you're curious, check out the very first video of the game. The looks give me a Bioshock feel, while the weapons and masses remind me zombie games. I'll probably love it. O man o man! It feels exactly like Bioshock the original. I'm replaying the original BioShock now and yeah, same vibe, specially how the town people act like everything's fine and keep using "Joy", which seems very similar to Plasmids and how they made a lot of people crazy. Also, love how the narrator, Uncle Jack, reminds me of Jack Ryan in how he seems to control them through the television. 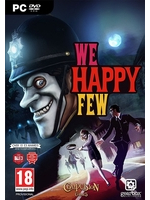 And even the name, I don't think that's just a coincidence, probably a nod from the team to BioShock. Plus the English 60's setting and clothes reminds me a little of No One Lives Forever. Definitely a title ro keep track of. Very interesting, I'll definitely be keeping an eye out!